Hi human reading this. My name is Luna Darcy. I'm turning 25 years old in a couple of months. I'm from Manila, Philippines and I haven't been anywhere besides here. I took up BS Psychology but quit studying last 2008 and started working as a full-time call center agent for around 6 years now. I am a personal blogger for ____ days now. This is my first time ever to guest post so please be easy on me. Thank you! Take a minute to follow Luna at her blog and on her social media. It would mean a lot to both of us! 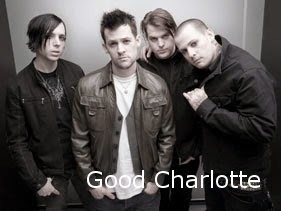 GOOD CHARLOTTE MADE ME SEE THE "GOOD" IN LIFE. 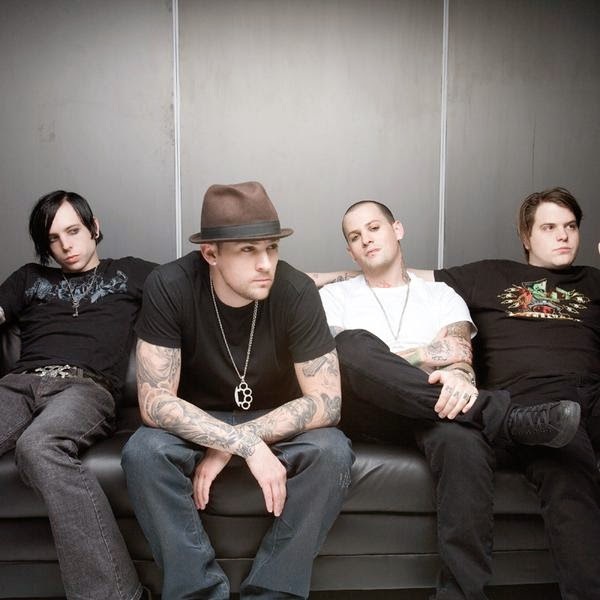 I was a junior in high school (it was 2005 if I'm doing my math correctly) when I came to know the band Good Charlotte. They were introduced to me by my only guy bestfriend, John, who was a guitarist. At first glimpse, I thought, this band's awesome. I loved the fact that there's twins and a lot of tattoos among them. John told me that they're one band who understood me more than any band would do. I was intrigued. What did he mean by that? I listened to couple of songs and thought they sound so happy and so alive, which is exactly the kind of music that I wanted to listen to (I'm a sucker for an awesome beat.) So one day, I borrowed the CD and CD player (I don't own one) and listened closely to their songs. The very first track I listened to was "The Young and the Hopeless". I loved the sound of the heavy drums and the lively rhythm. On the other hand, I realized that the lyrics wasn't so jauntly than I thought. I'm angry at my father. It's me against this world and I don't care. They feel me. It was like they understood perfectly what I was feeling about the situation I've been in. I felt an undeniable connection with them. I was hungry so I listened for more. The next song was slow and the melody was hauntingly spot on for me. "Emotionless". That was the title. But it was the opposite upon close examination of the lyrics. It was full of emotions - hate, anger, grief, denial, longing, sadness. It was a brutally honest account of a son who was left by his father who used to be his "hero". The feelings I've buried in the deepest part of my heart are all flooding their way out - and I can't help it. Who are they? Why do they write and sing such songs? And why in the world I only heard about them today? My questions were all answered when I surfed for more information in the web. Good Charlotte is a rock band composed of twins Joel and Benji Madden, Paul Thomas, Billy Martin and Dean Butterworth. The original band members were formed way back 1995 (I was five!). The band shot to fame 2002 when their album "The Young and the Hopeless" sold 4.9 million copies (Thanks Wikipedia!). 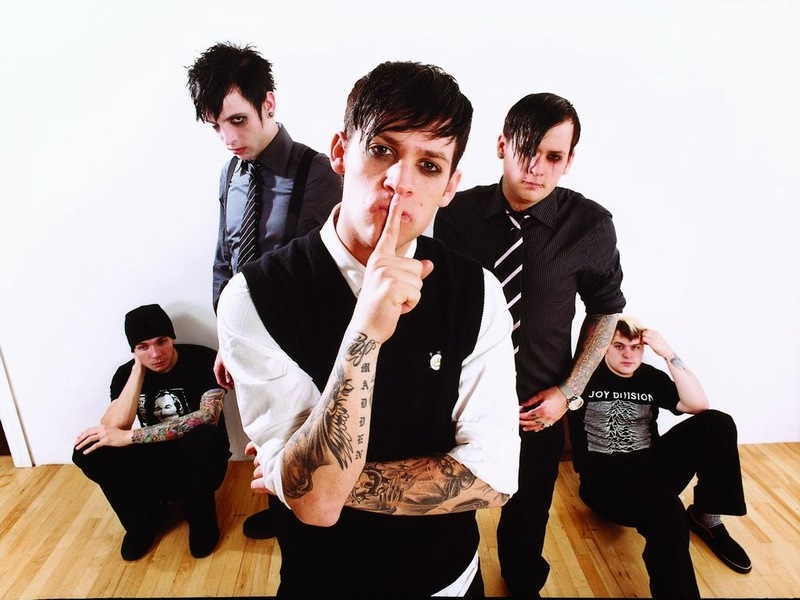 After reading tons of articles written about them (mostly about the twins), I found out that they grew up in a broken home, their father abandoned them and it was their mother who supported them and who has been with them and for them when they weren't "Good Charlotte" yet. The band has won several awards already there's a separate page of the article in Wikipedia dedicated to letting us know how awesome they truly are, which you can view here. Third track: "Hold On". Are they talking to me directly or am I imagining things? How can they possibly know what I feel behind the mask I wear every single day when I'm with other people? Why did they know my grip is already loose? You're feeling sad, you're feeling lonely, And no one seems to care. How come they know I've been depressed for so ages? I eventually found out that the song was dedicated to people like me. They wrote the song and repeated the words "Hold On" so many times in the hope of spreading the message to people who have lost a loved-one/loved-ones to suicide and to those who are considering to commit suicide. And the timing then was perfect. It sparked a sense of hope in me, that hope that's been evasive since the day I woke up and realized that my father abandoned us and was never to return. It's been 16 years since the day I was labeled "fatherless". I found out last 2012 from a distant relative though Facebook that he fathered 3 more children after he left my mother and I and that he passed away due to cardiac arrest. Do I miss him? Yes, no doubt about it. Do I have regrets? Yes. I should have looked for him even before 2012 so I could have at least knew how he was and get my questions answered. Did I forgive him already? He never asked for my forgiveness but I see life through my mother's eyes. She's a very positive, helpful, generous and the most loving person I know. She's forgiven me for the countless times I failed as a youth, as a child, as a friend, as a woman. I've made mistakes (and committed the same mistakes) and hurt people and myself in the process but through all that, undeserving as I am, I've been forgiven. So yes, I can say that I've forgiven him. I am a stronger and more resilient woman because of my experiences growing up from a broken home, because of an even tougher woman who has supported and loved me against all odds and because there's a band like Good Charlotte who writes and sing songs about how I can be victorious regardless of the kind of family I came from. They're an inspiration and I can't wait to listen to their next album. 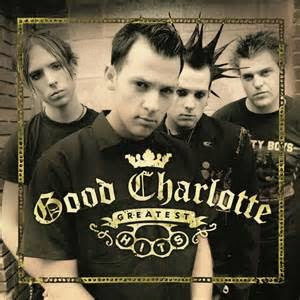 Have you found the band who helped you see the good in life the way Good Charlotte did for me? I sincerely hope so. I hope that you enjoyed today's Guest post. 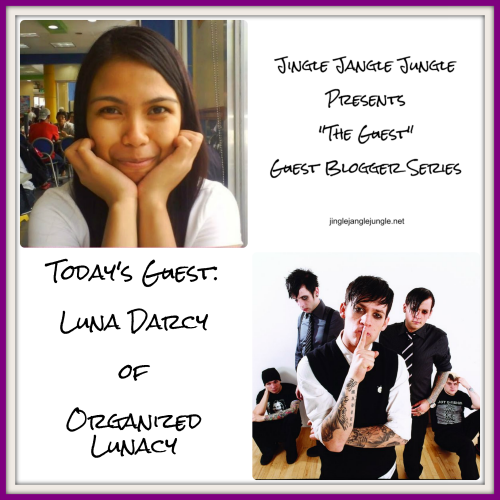 Be sure to give Luna a visit on her blog and social medias.